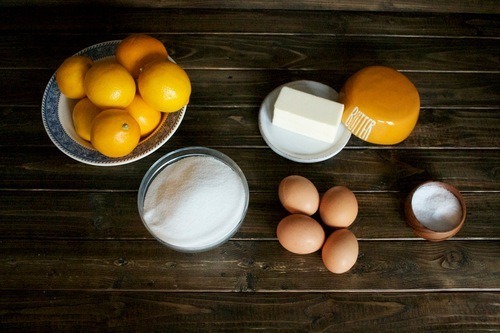 This is the time of year when nearly every blogger is posting a recipe with meyer lemons in the spot light. This is one bandwagon I’m totally happy to jump on. I hold high esteem for this particular citrus fruit. Let’s talk a little bit about meyer lemons. These lemons have a distinctive bright orange color to their thin skin. They have a lower acidity level than the common Ponderosa variety and are very sweet. 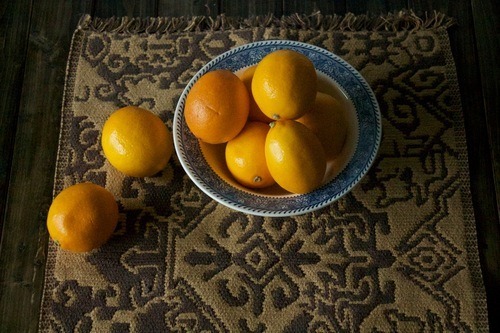 They were brought to California in the early 20th century, most likely a cross between lemon and orange or mandarin. Their flavor is distinctive and slightly herbal, which is due to their chemical element, Thymol (found in thyme). I love them dearly, and when I saw them at the market I grabbed, bought, and made lemon curd. 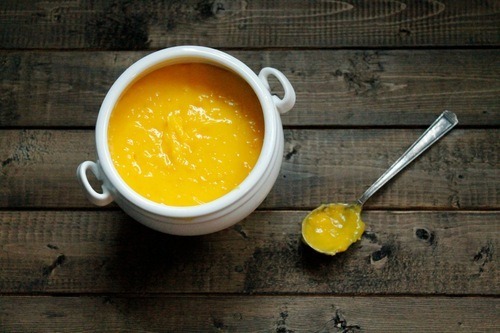 If you have never made lemon curd, get on it. It is the easiest spread you’ll ever make. Meyer lemons peel very easily, much like a clementine. If we were using an average market lemon we would use a vegetable peeler to remove only the zest, avoiding the bitter pith. Since this citrus variety has very little pith we can safely use the entire rind. The peel is pulsed in a food processor with sugar until it has a finely minced texture. 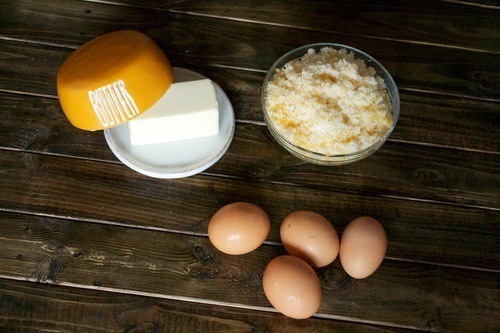 The lemon sugar is then creamed with butter and eggs and heated until it thickens into a smooth curd. 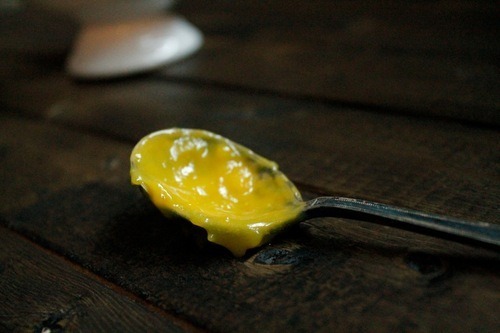 What do you serve with lemon curd? Well, how about making a pound cake. Or blueberry muffins. Or if you just want to stand over the pot and eat it by the spoonful, that’s completely appropriate. Peel 4 lemons and cut the rind into strips. In the work bowl of a food processor pulse sugar and lemon rind. Pulse several times, until the zest is very finely minced into the sugar. In a separate bowl cream butter and lemon-sugar mixture. Add eggs, one at a time. Add lemon juice and salt and mix until well combined. Pour the mixture into a heavy 2 quart saucepan and cook over a low heat for 10-15 minutes, stirring constantly. When the curd has thickened, remove from heat and refrigerate for 1 hour or until fully cooled. Enjoy!